We’ve just confirmed a surprise guest from RuPaul’s Drag Race Season 10! This is just the person we need for a fun and lively Networking 101. Join us at the beautiful Catalyst Ranch and enjoy a night of networking, light bites, libations, raffle prizes, and a special surprise!. Thanks to our sponsors: Catalyst Ranch, Chicago Sky, and Tri-Star Catering. 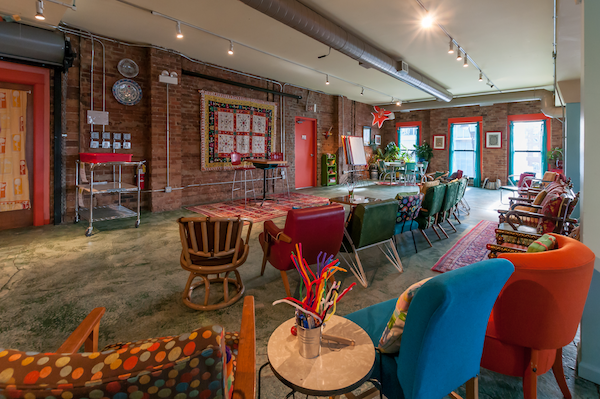 Catalyst Ranch is Chicago’s most creative meeting and event space. We are the antidote to generic, unfinished meeting rooms and event spaces. 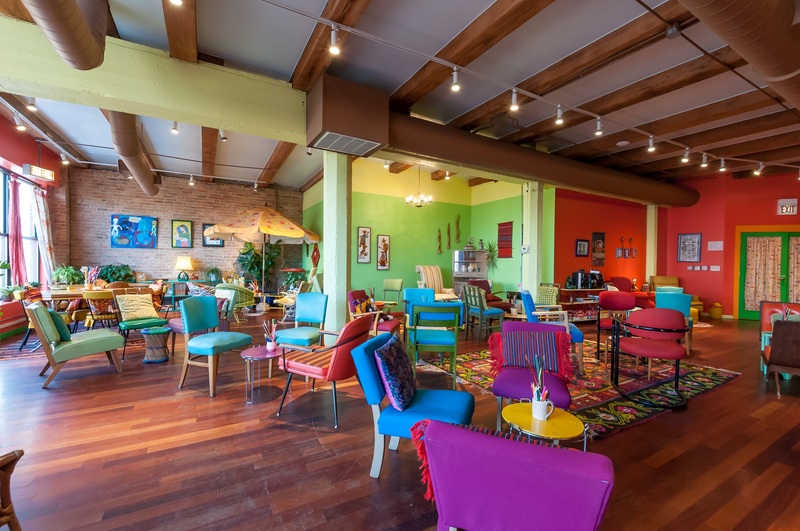 The colorful and eclectic environment provides absolute inspiration for every person who walks through our doors. The Ranch boasts six vibrant, spacious rooms designed to evoke a sense of purposeful play, and to inspire your team to think differently, develop new strategies, become more productive, or kick up their heels and party. Not only do we have fabulous vintage furniture and art but our rates are all inclusive. Plus, every meeting or event is topped off with our exceptional customer service. So catapult creativity and amaze your guests with a feast for the senses during your next meeting or event at Catalyst Ranch!